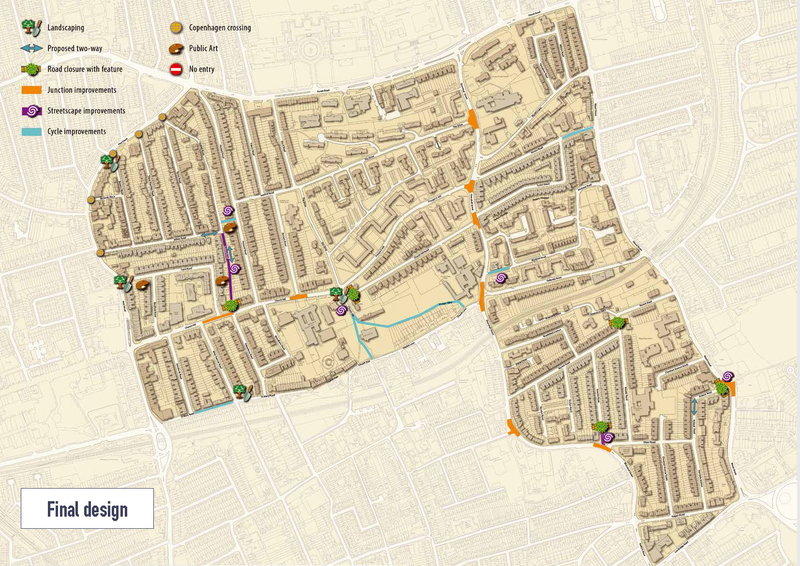 As Mini Holland implementation progresses we will provide maps which identify what is planned or has been built, and clarify motor vehicle access. This scheme is now complete, and is bounded by Sherhall Street, Lea Bridge Road, Hoe Street, St Marys Road /Vestry Road/Church Lane. Click on the map on the left for what has been implemented, and on the map on the right for guidance on motor vehicle access. 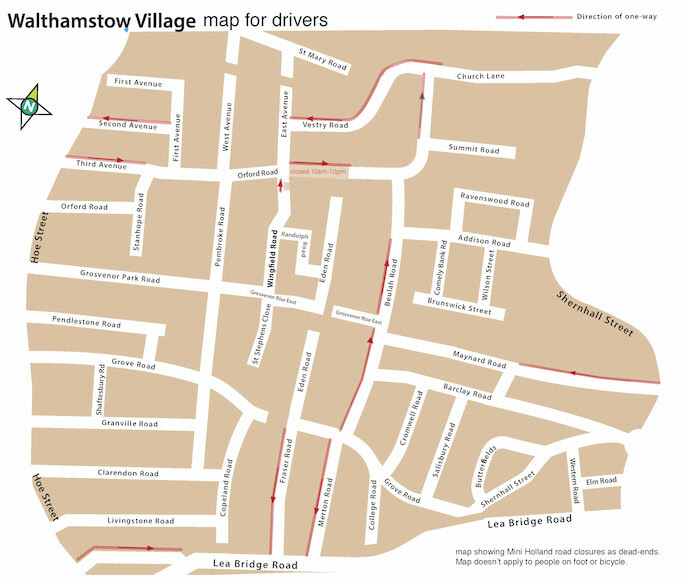 The wider area surrounding Walthamstow Village, and bounded by Hoe Street, Forest Road, Wood Street & Lea Bridge Road is around 75% complete. See map below showing what has been constructed to date (January 2017). Treatment for the Hilltop area (bounded by Church Hill Rd, Howard Rd, Forest Rd & Shernhall St) has been postponed due to lack of support from residents and also as substantial changes are planned for Forest Road which could influence the type of measures which might work best for Hilltop. This scheme is now complete – see the map below. Work to develop this scheme is not expected to start before summer 2018.